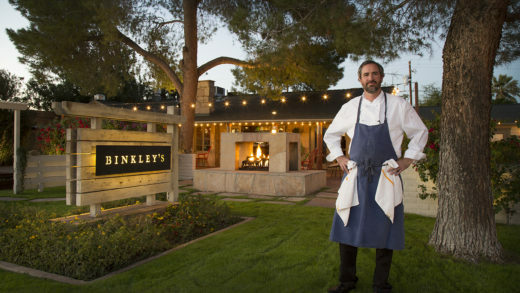 “The Boulders is truly an authentic Arizona experience, from the lush desert landscape that is surrounded by the ancient boulder formations to a nature-lover’s paradise where the terrain and plant life have been left virtually untouched to allow indigenous plants and wildlife to prosper,” said Executive Chef Kyle Lipetzky. In addition to spacious accommodations and a wide array of activities and amenities, the resort offers a number of dining options that celebrate local ingredients and regional cuisine. “We have several different onsite dining experiences, all reflecting the region’s sights, tastes and smells,” said Chef Lipetzky. 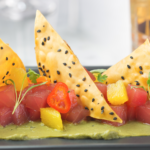 The Palo Verde is The Boulders’ signature restaurant offering contemporary Southwestern cuisine. With expansive windows and a relaxing outdoor patio, guests can enjoy scenic views of the resort’s duck pond and rolling greens, as well as glimpses of the local wildlife, from quail and rabbits to the occasional sightings of bobcats and javelinas. In keeping with the Southwestern theme, the Palo Verde’s breakfast options include chilaquiles and huevos tacos with red chile pork. The dinner menu includes shareable items, from halibut and shrimp ceviche to barbacoa lamb tacos. Entrees include seafood, chicken, ancho-glazed meatloaf with cactus pear barbecue sauce and Sonoran spiced beef tenderloin with chile butter. The Spotted Donkey Cantina is located at El Pedregal, which offers dining and shopping options close to the resort. The restaurant is known for authentic Mexican cuisine, from freshly made guacamole and carne asada to Hatch chili pork stew, tacos, enchiladas and fajitas. The Spotted Donkey offers several cocktails made with the restaurant’s exclusive Herradura Double Barrel Reposado tequila featuring smoky, caramel and vanilla flavors. Chef Lipetzky describes the cuisine at the resort’s Spa Café as “simple, honest and good food.” The menu utilizes fresh ingredients from the resort’s organic garden, and offers vegan, vegetarian and gluten-free options. 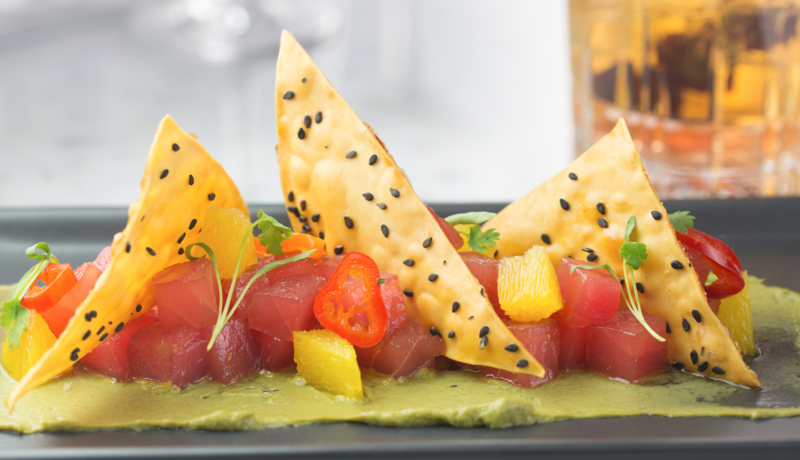 New additions to the Spa Café menu include a pulled chicken tostada, ahi tuna lettuce wraps and chocolate beet cake. 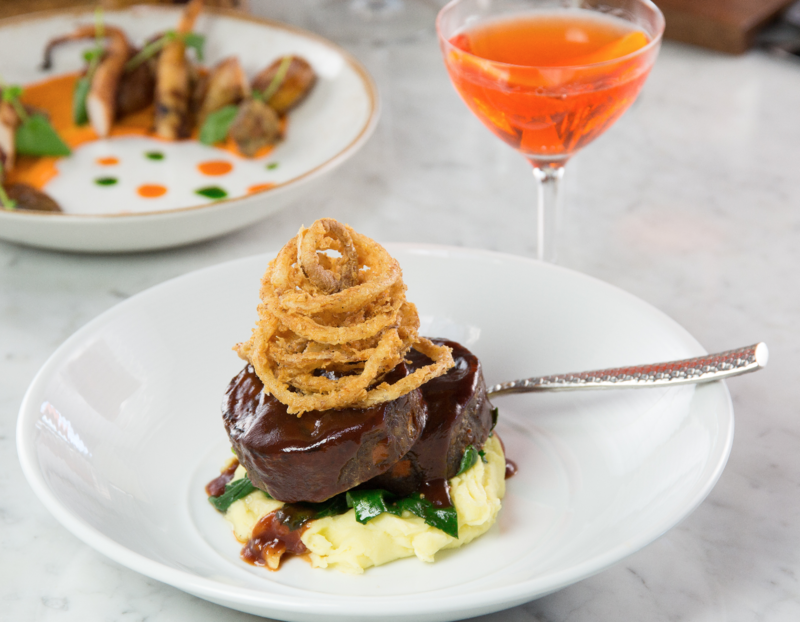 The Grill Kitchen and Bar features an exhibition kitchen and a patio with fairway views. Menu options range from Southwestern dishes like ahi tuna tostones and smoked brisket queso to steaks, sandwiches and salads. Ideal for shared plates and cocktails, Discovery Lounge offers floor-to-ceiling views, a fireplace and a humidor. One of the resort’s unique offerings is an organic garden that grows a variety of herbs and seasonal vegetables, including carrots, celery and heirloom tomatoes. The garden also has several citrus trees and prickly pear cacti that produce fruit for desserts and cocktails. The garden offers a chef’s table and an outdoor kitchen where guests can enjoy cooking demonstrations. 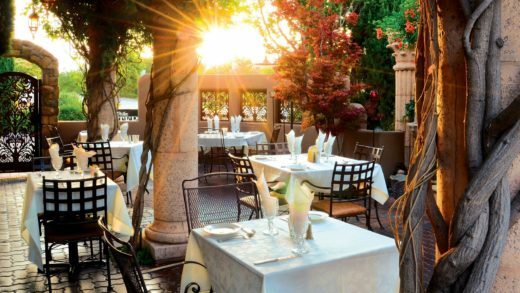 With seating for up to 50 guests, the garden is a tranquil location for cooking classes, receptions and special events. 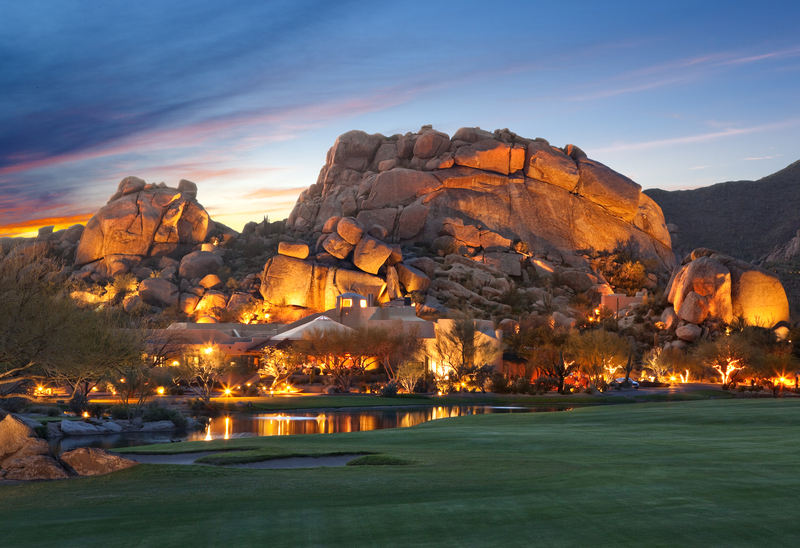 Beyond the dining options with Southwestern flair, The Boulders offers its guests a relaxing desert experience. The Boulders has 220 guest accommodations including 160 newly renovated guest casitas. The 33,000-square-foot spa features 24 treatment spaces, a fitness center, yoga studio and full-service salon. Guests can also enjoy golf, tennis and four swimming pools. The resort offers several activities to highlight the beauty of its desert location including horseback riding, hiking and hot air balloon rides. As the holiday season approaches, The Boulders will be adorned with Christmas trees and lights strung throughout the grounds. Guests can also enjoy seasonal treatments at the spa, and festive holiday menus at several of its restaurants. 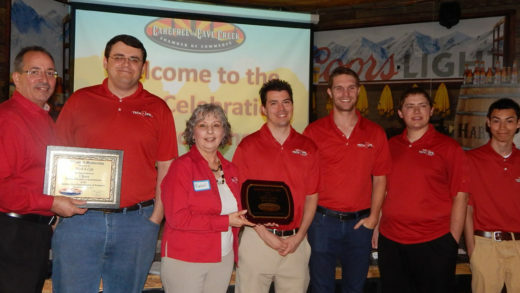 Heading into spring, The Boulders will offer more wine dinners, cooking classes and culinary demonstrations. 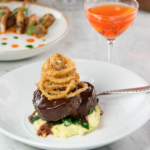 The resort will also introduce new menu items and cocktails. For baseball fans, The Boulders will offer special spring training packages complete with team-themed nachos. Arizona is home to many scenic resorts, each with its own unique features. 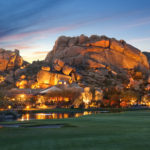 For a true Arizona experience in a setting like no other, The Boulders Resort and Spa showcases the best of the desert.